What is 14.5 inches high, cuddly soft, and coming for you this holiday season? 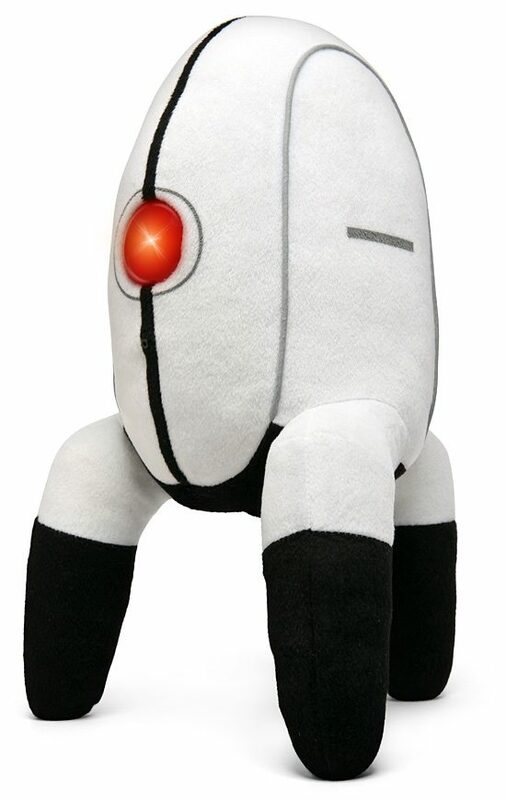 If you guessed anything other than this Plush Portal Turret, then you probably have bigger problems to worry about. 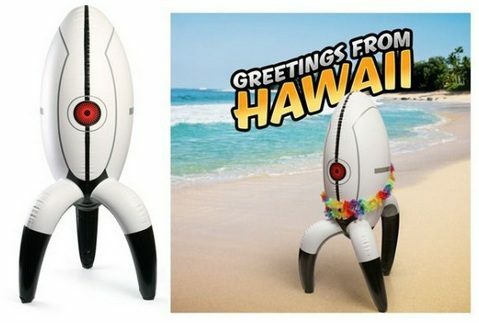 This little guy is due out on December 18 by Think Geek and boasts the ability to talk, speaking “the phrases all proper sentry turrets should know.” And if the glowing eye doesn’t make you believe that it loves you, at least you don’t have to fret over its dual machine guns — those have been removed for optimum squishability. 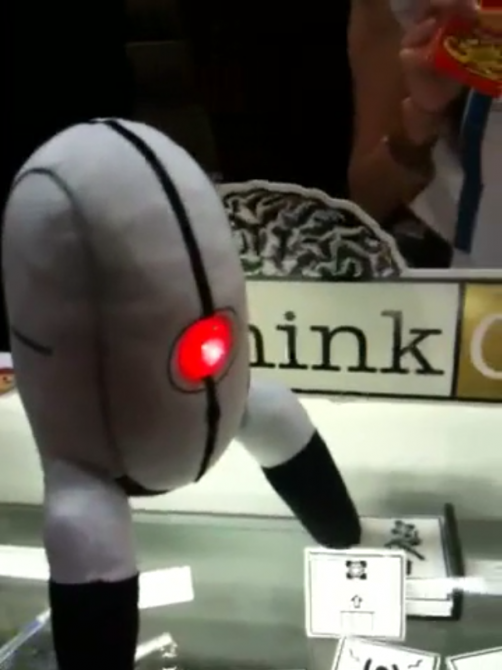 The Plush Portal Turret is an officially licenses Portal 2 Collectible and will retail for $29.95 at Think Geek.